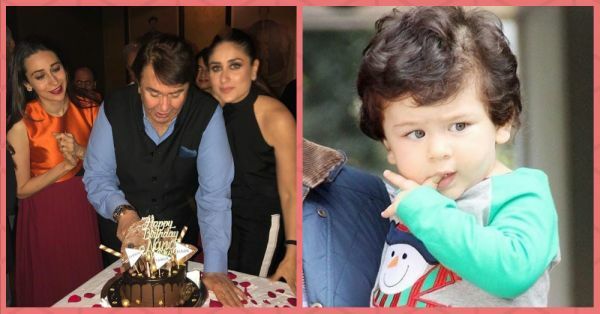 Taimur & Gang Had The Sweetest Surprise For Nanu Randhir Kapoor On His Birthday! 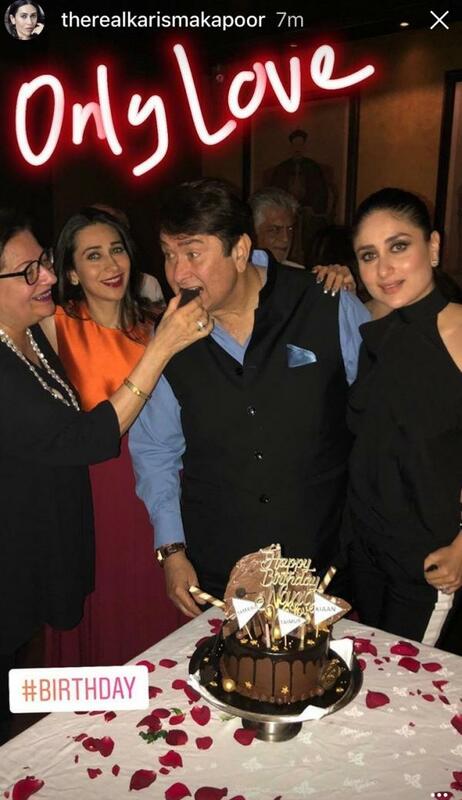 It was Randhir Kapoor's 71st birthday and the family decided to have an intimate dinner, unlike the large party they threw last year. The daughters Karisma and Kareena along with mother Babita, played perfect hosts and the pictures just prove that they make an ideal family. Karisma's Instagram saw a series of posts as Randhir cut his birthday cake, handpicked by his grandchildren - Samair, Kiaan, and Taimur. 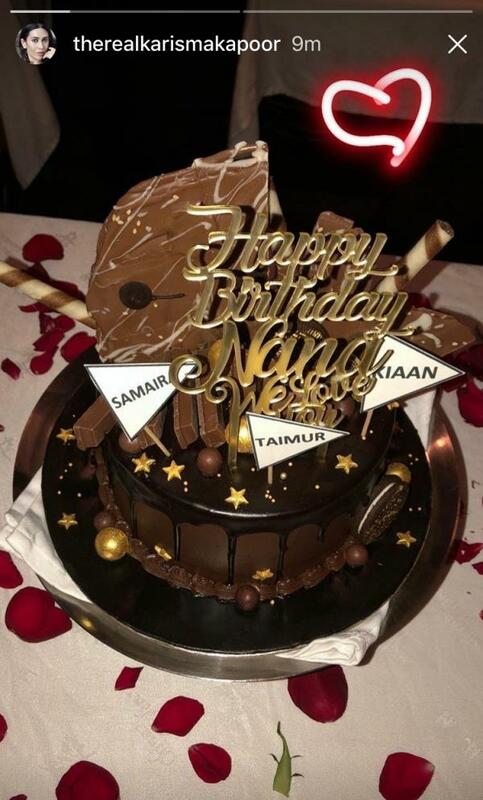 That's right, our little baby royalty, Taimur might not have known what he was picking but his name on the cake made for the sweetest gift for the proud nanu. Doesn't The Cake Look Delicious? 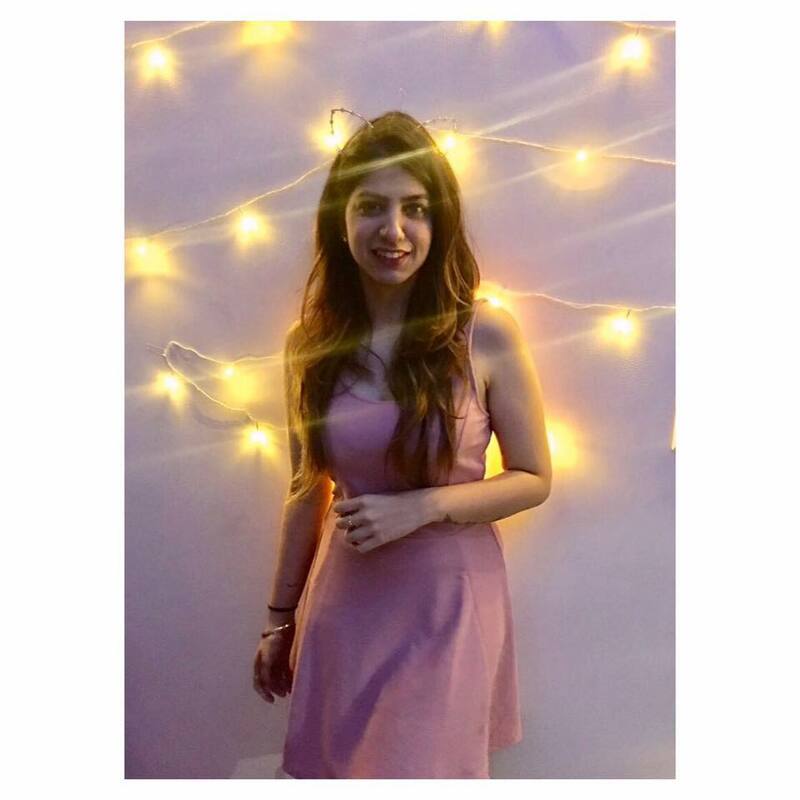 The birthday celebrations also had Neetu and Rishi Kapoor, Armaan Jain, Rajiv Kapoor and Saif Ali Khan. As we eagerly await more pictures, here is wishing Grampa Kapoor a very happy birthday!